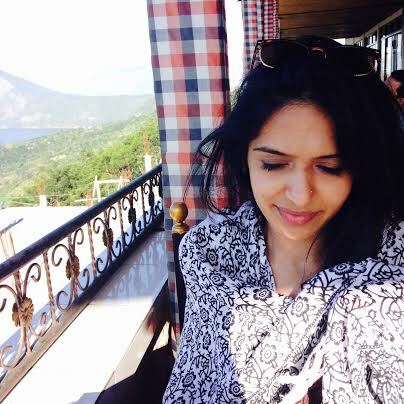 Since I got married I have been learning my husband’s mother tongue of Bengali. I grew up speaking Hindi (and “Hinglish”); although both languages stem from the ancient language of Sanskrit, they are very different. My high school French teacher once told me I had a natural “flair for languages” but as an adult, it’s safe to say I have lost said flair! It’s okay though. I have accepted that mastering the language is more of a long-term goal. I can say “I’m hungry” and “What’s for dinner?” – so important key phrases are in the bank. In the short-term, learning how to recreate my mother in law’s amazing Bengali dishes are more of a pressing matter (er priorities…hello?). Today’s recipe is not from her cookbook, but rather one that Jan, one of my cookery class students, asked me how to teach her. It’s a curry house fav in the UK and I found it fun to recreate at home. 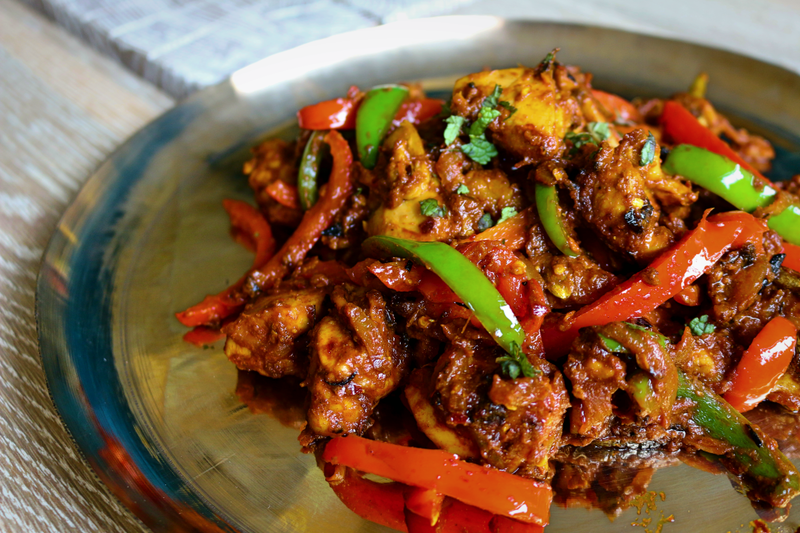 A dry, spicy chicken dish cooked with peppers and onions – it has crunch, colour and flavour all packed into one! Fun fact – the “jal” comes from the Bengali word “jhal” which means spicy (see I am learning!). Enjoy the recipe below lovely people. Pre-heat your grill at the maximum temperature setting. Place all "marinade" ingredients into a bowl and mix together. Now, place the marinated chicken on a foil lined oven tray. Grill chicken for 10-12 minutes until cooked (the chicken should be white all the way through once fully cooked). Remove from grill and keep aside. Heat the ghee or oil in pan on a medium heat setting. Once hot add the crushed green cardamoms and cumin seeds. When they begin to sizzle in the oil, add the onion along with ¾ tsp salt. Cook for 2-3 minutes until translucent. Now add the garlic, ginger and chilli and mix. Continue to cook for a further 2-3 minutes until golden brown. Add the chopped tomatoes and purée to the pan and stir. Cook for 2-3 minutes allowing them to completely soften. Reduce heat slightly and add the garam masala, coriander powder, paprika, turmeric and the remaining salt and mix well. 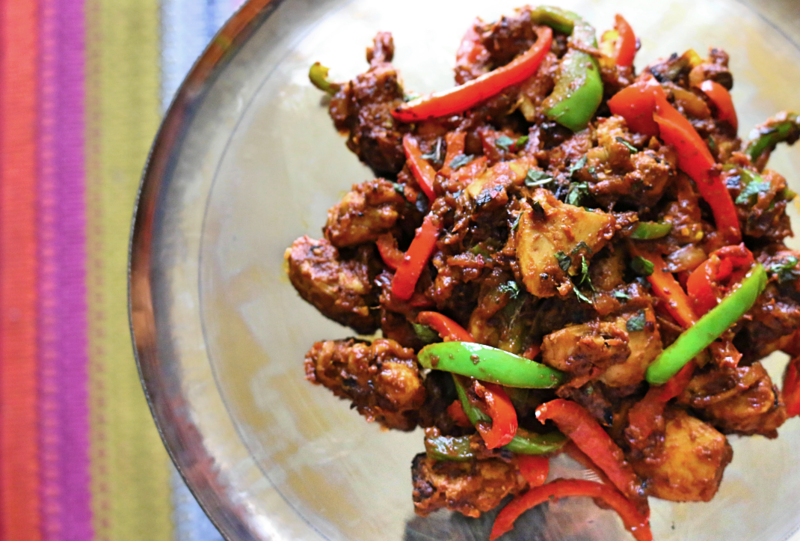 When you see the oil begin to separate from the masala paste, add the grilled chicken and the sliced peppers. Mix well on a medium/high heat and cook for 3-4 minutes. Finish with a sprinkle of fresh coriander. Taste for salt and adjust accordingly. Remove from heat. Haha exactly right ;). Ooh thanks, let me know how it turns out for you!